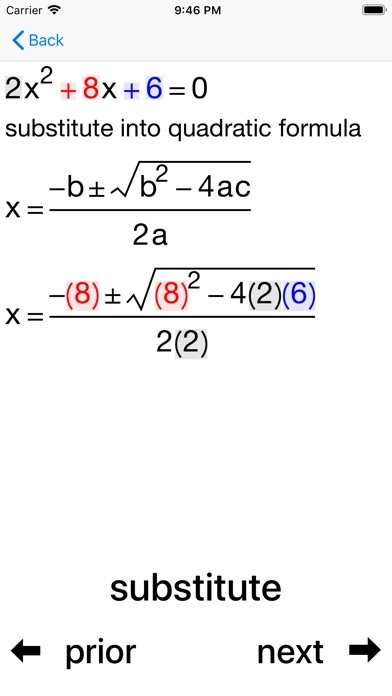 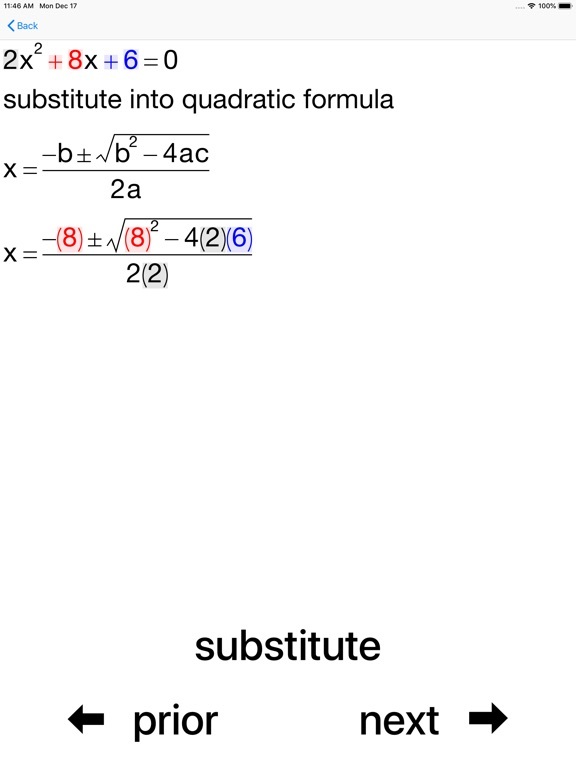 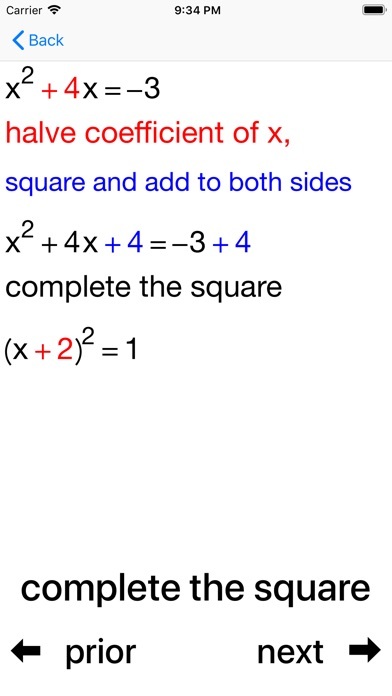 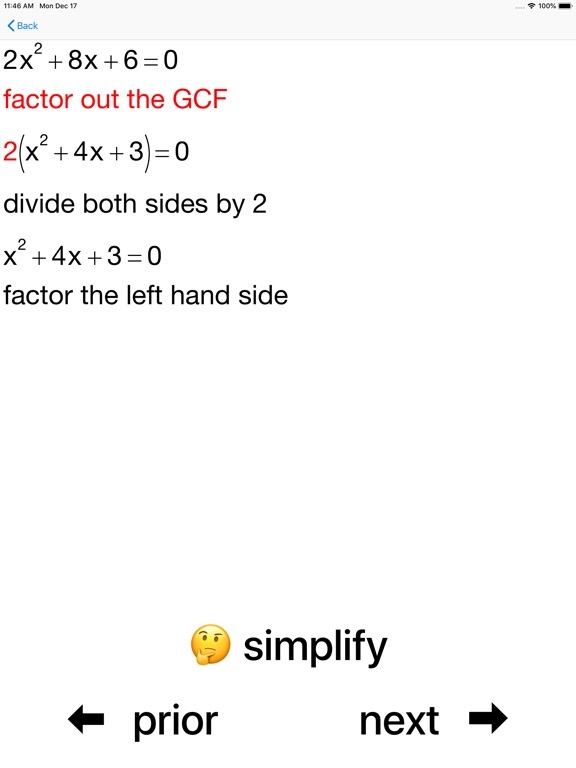 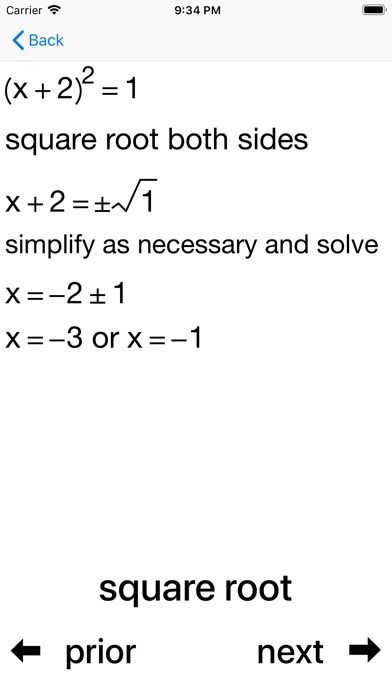 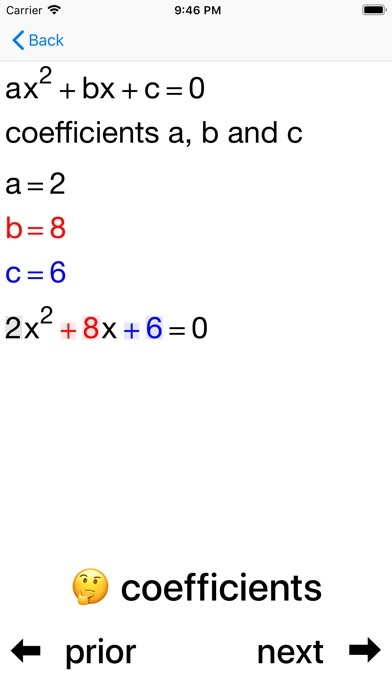 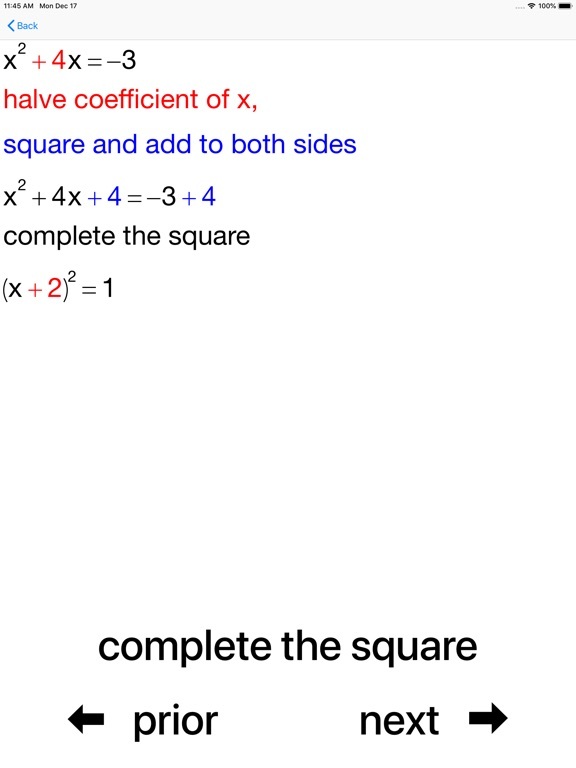 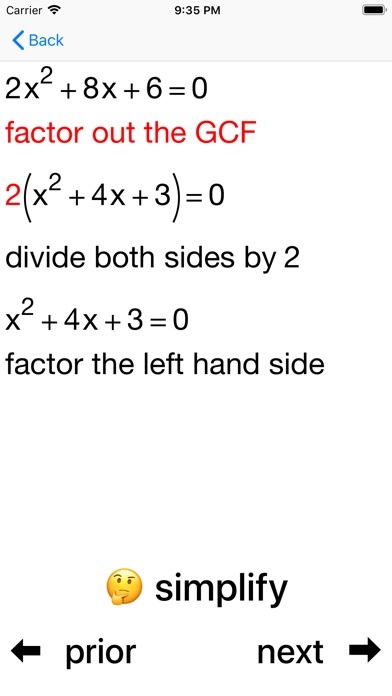 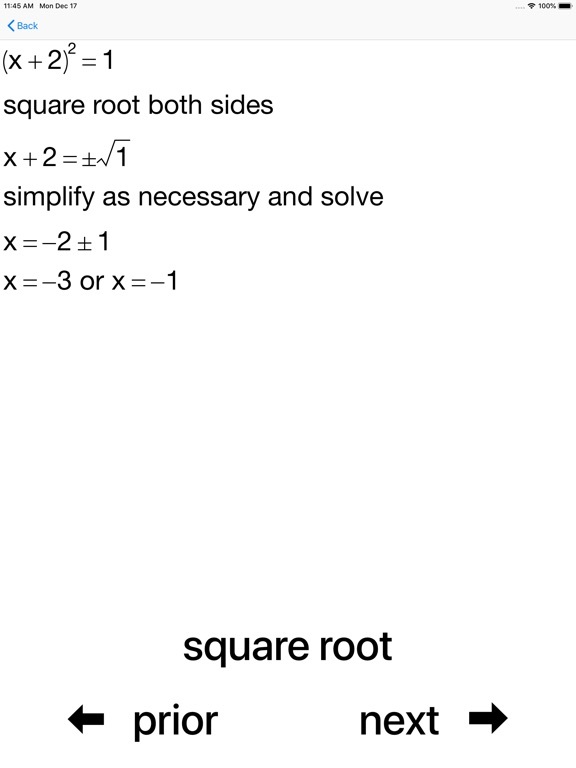 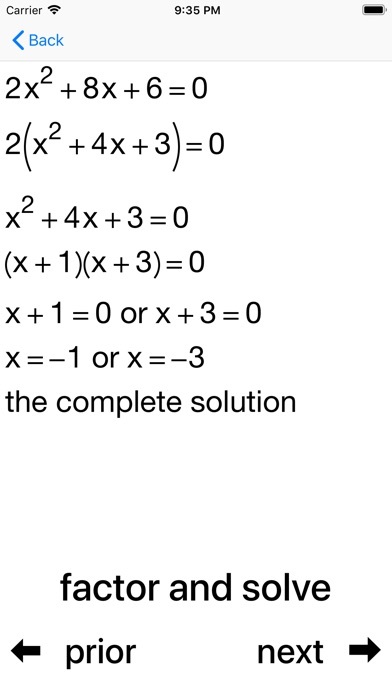 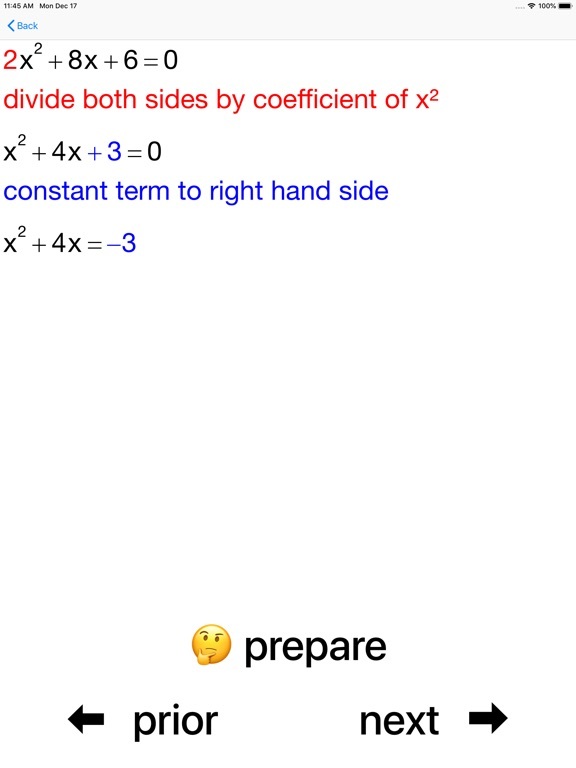 A power learning aid combining Coaching Calculators and Guides to help students master the solving of quadratic equations. 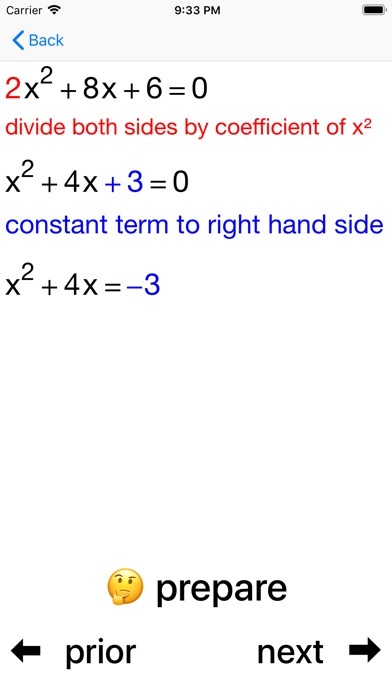 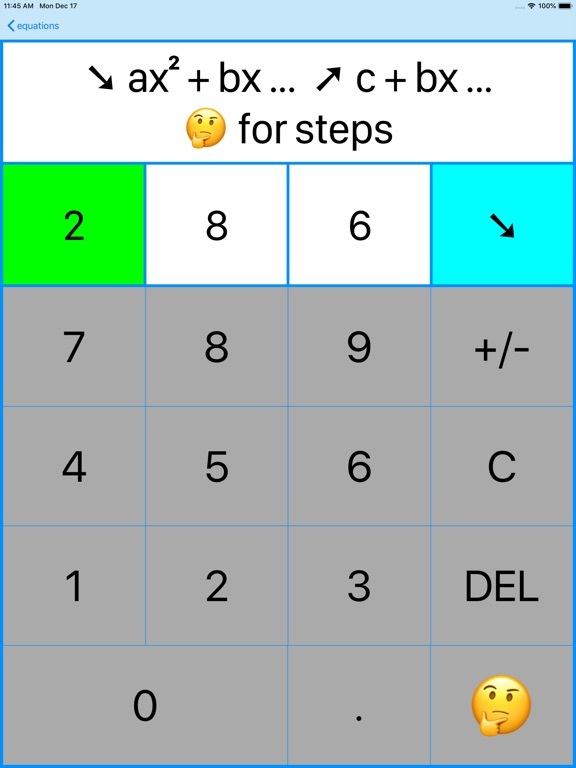 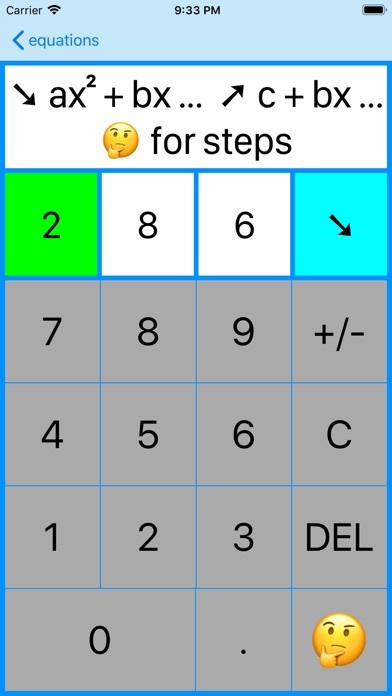 Students learn quickly by working with the calculator and seeing each step of the process in detail. 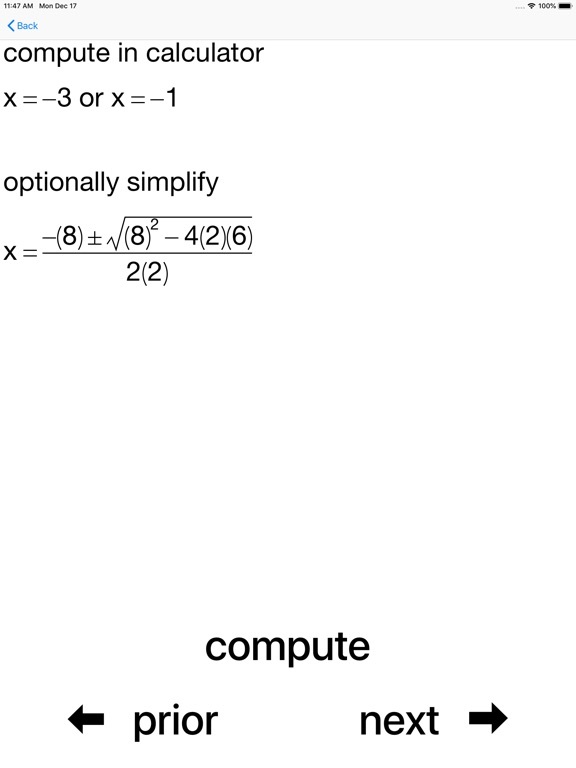 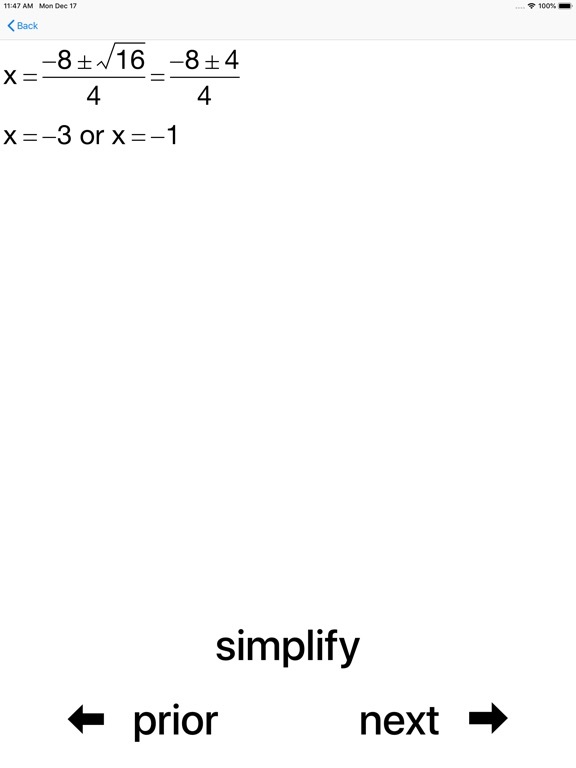 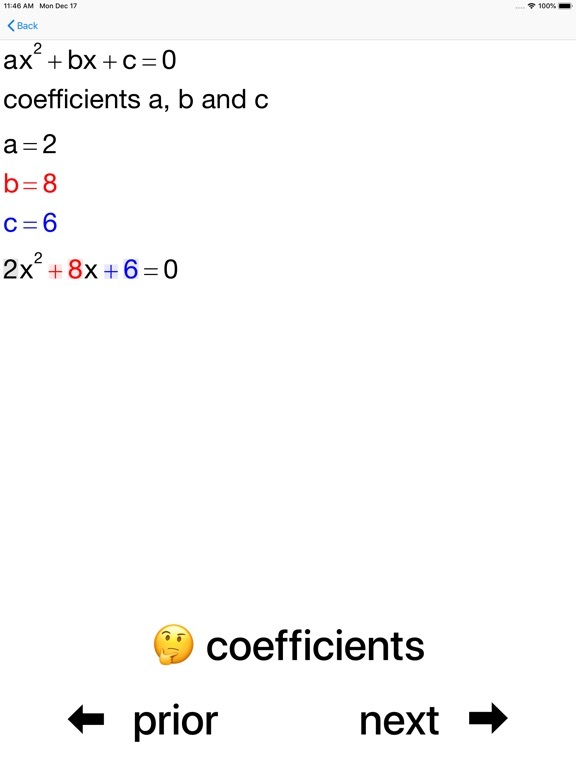 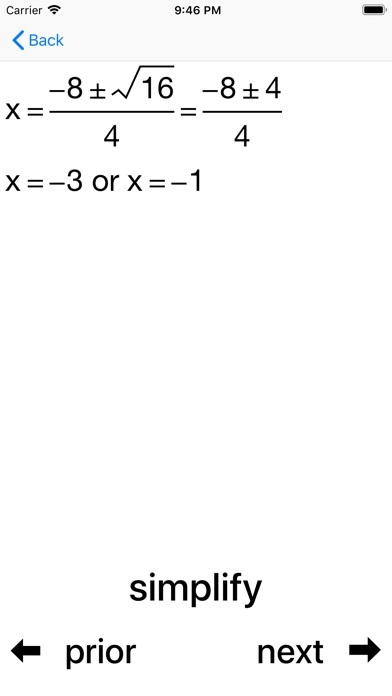 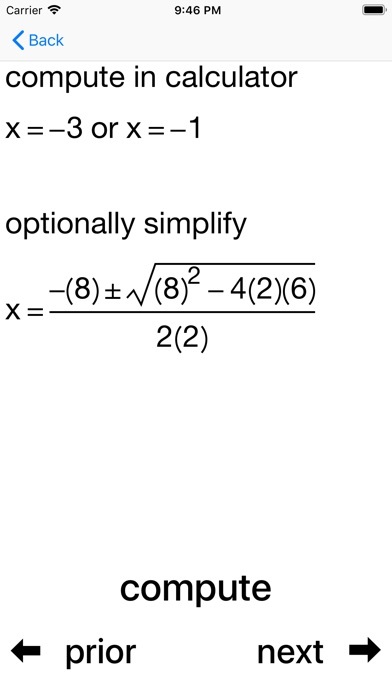 Calculators handle equations with integer coefficients up to 99.